Sharing a couple of cold ones with your friends at a Gainesville brewery is the perfect way to unwind after a long day exploring the city. Maybe you’re looking to cool off from the Florida heat a crisp IPA. Perhaps you’re the type that has difficulty selecting just one beer to try. In that case, order a flight so you can sample a variety of lagers, sours, porters, and stouts! At many of the breweries, you can order tasty bar food or small plates. Connect with locals at some of the breweries’ events. You’ll learn more about the best things to see and do while you’re in town! 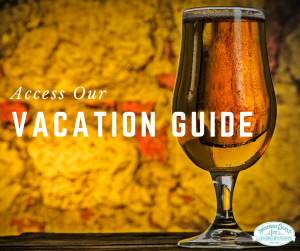 For more suggestions for dining establishments, wineries, and attractions to check out during your visit, check out our complimentary Vacation Guide! There’s something about the moment when you step through the doors of a brewery. Aromatic hops surround you and awaken your senses at Cypress and Grove Brewing Company. Whether you’re hoping to order a flight of seasonal ales or you’d prefer to stick with a classic lager, this brewery treats guests with high-quality brews guaranteed to appease your palate. If you’re up to it, you can even schedule a tour of the brewing facilities to learn more about their particular process. Treat yourself to a wide selection of craft beer at First Magnitude Brewing Company. Their creatively concocted brews range from juicy citrus ales to smooth, rich lagers. If you’re not much of a beer enthusiast, try one hard apple cider, a glass of cabernet, or a sweet chardonnay. Adventurous beer drinkers might like to try something from their seasonal selections like a sour gose with hints of spice or a robust coffee porter! Quench your thirst at the Swamp Head Brewery with one of their delicious beer options. From honey-cream ales and oatmeal coffee stouts to summery IPAs and pumpkin spice-inspired brews, you’ll have a hard time deciding on a beer! Grab a bite to eat at one of the food trucks that frequent the brewery or attend a Swamp Head Brewery event! Enjoy the “old world atmosphere” and Belgian-inspired beers served at Blackadder Brewing Company. They partner with local business to ensure a sustainable practice. For example, they donate their spent grains to feed pigs and chickens at Kuma’s Playpen. They also participate in fundraisers to help the Lubee Bat Conservancy! After savoring the hoppy flavors of craft beer at a Gainesville brewery, find a safe ride back to Sweetwater Branch Inn! 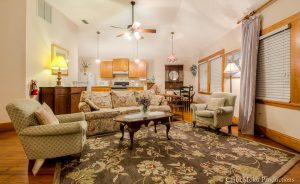 Our beautiful property sits in an oasis tucked away from downtown Gainesville. You’ll be conveniently located to all the best attractions in the area. Whether you opt for a suite in our McKenzie House or a room in our Cushman House, we assure you that you’ll be more than happy with your choice! You can even book your stay in one of our beautiful cottages. Our Carriage House is perfect for lounging around and catching a breath in the midst of your busy schedule.